This is another clear, basic, often-repeated message of Scripture. Why is it that many of God’s people try to get around this fact? God does not tolerate evil. He does not approve or overlook the deeds of wickedness. Although God demonstrated His incomprehensible and gracious love for us “while we were yet sinners” (Romans 5:8), He is “not a God that hath pleasure in wickedness: neither shall evil dwell with thee. The foolish shall not stand in thy sight: thou hatest all workers of iniquity” (Psalm 5:4-5). We are never to think that God’s love for the world extends beyond His provision through Jesus Christ on the cross. Those who respond to His love are “created in righteousness and true holiness” (Ephesians 4:24). Jesus said that those who do not accept His atonement and do not believe His Word “shall die in your sins” (John 8:24). This is why the New Testament makes such a strong case for the change in the life of the believer. We are new creations (2 Corinthians 5:17; Galatians 6:15) and are now a “new man” (Ephesians 4:24; Colossians 3:10). We are set free from sin (Romans 6:6-7) and free from sin’s law in our body (Romans 8:2). Indeed, we are set at liberty not only from the control of sin in our lives, but set free to perform the righteous works that God has decreed that we should do (Galatians 5:1, 13; Ephesians 2:10). If we are God’s chosen, we will live like God’s chosen. 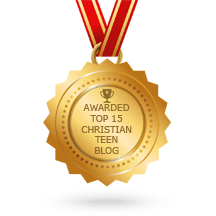 This entry was posted in A CLICK A BLESSING TODAY, CHRISTIAN NUGGETS and tagged Godly Resistance. Bookmark the permalink.